Medical marriages happen when a doctor marries another physician or healthcare practitioner. In the era of Ben Casey and Dr. Kildaire (about a half century ago), medical marriages were incredibly rare. Back in the early 60’s women rarely went to college, and a female doctor was extremely unusual in the USA. Before the second wave of feminism in the late 60’s, the accepted social norm was for couples to marry early, often right on the heels of graduation from college. This idea was relatively robust and unchallenged. Most wives back then were socialized against pursuing higher education, but when women did express career aspirations, these were often pragmatically put on a relational hold. Helping your husband get through medical school was the sine qua non of a comfortable upper-class lifestyle. Marriage timelines today are quite different. It’s typical for young adults to delay marriage until their late twenties or early thirties for a variety of pragmatic reasons. Some are leery of juggling family life and college, while others may also want to achieve a solid career path before adding the responsibilities of marriage and family. It is also common for young men and women to feel unprepared for the commitment of marriage and parenthood even when they are well into their 30’s. According to the Kaiser Family Foundation, around 47 percent of medical school graduates in the United States are female, and in some parts of the United States, that percentage approaches half. 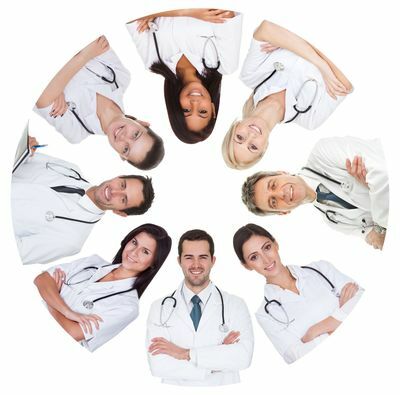 It is far more likely that these mixed-gender students, interns, and young professionals will be attracted to, and pursue relationships with, other medical professionals that they find themselves sharing time with. Many physicians marry other healthcare workers because the demands of the profession often subordinate their social lives into their work lives. 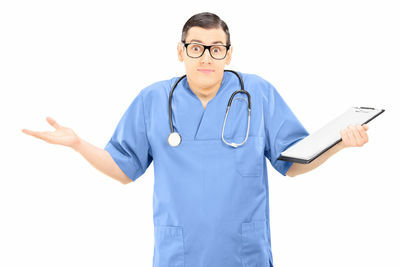 Medical school is often rigorous and all-consuming. As many more eligible young male and female doctors complete their training during the ridiculously long hours of residency, there is often ample opportunity to find love amidst the stethoscopes. For the above-stated reasons, medical marriage indicates a huge social shift. According to recent (2014) research by the AMA, almost 40% of doctors marry another physician or healthcare practitioner. A career in medicine is often a passion-driven pursuit. Some physicians report that they enjoy having a spouse who shares their perspective and passion for medicine. They don’t have to explain their schedules or their values. Medical marriages often share a common language and experience. Partners in medical marriages don’t have to complain or explain as much. And you do your best to balance mundane daily intimate life with life and death issues that other couples can’t even wrap their heads around. Family life is perhaps one of the greatest sources of stress in the medical marriage. Finding adequate child care, and synchronizing schedules are frequent challenges. Medical marriages also struggle with work-life balances. Balance is an elusive, perpetual problem, and perhaps the most common single area of medical marital friction. Another issue in medical marriages are the politics of decision making. Regardless of gender, physicians can develop a strong and decisive stance toward the world. Personality traits such as perfectionism and OCD are sometimes evident. 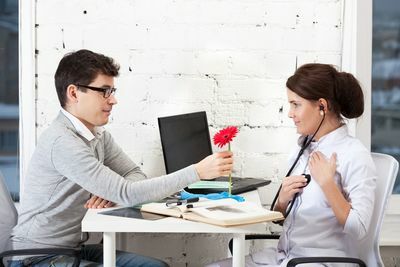 Science-based couples therapy can provide the opportunity to acquire better communication skills which can help ensure medical marriages from collapsing into chronic ongoing power struggles. There have been a number of interesting books written about medical marriages. Perhaps the best known is “The Medical Marriage” by psychologist Wayne Sotile. Another great book, which also deals with gay and lesbian physicians is “Doctor’s Marriages” by Dr. Michael Myers. The AMA also offers resources for medical marriages. Visit the AMA Alliance website and check out the AMA’s website about their quarterly magazine Physician Family. You can also learn more about medical marriage on the AMA Facebook page.